Save yourself the difficult, time-consuming task of managing your accounts by allowing our accountants to do the work for you. At Anthony J Faccini, in Woking, Surrey, we expertly offer an array of top-class accountancy services. As a highly regarded firm, we're here to help your business succeed. Anthony J Faccini offers a number of accountancy solutions for specific accounting terms to assist you as a sole trader. 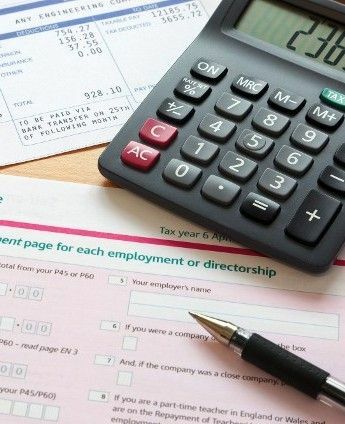 Although being a sole trader is one of the simplest ways to get started in business, there are many processes that need to be followed to ensure that you are compliant with HM Revenue and Customs. Whether you are venturing into a new partnership or are already established, we have dedicated accountants who can help your partnership business with all of your tax and accountancy needs. There are two main types of tax return. If the Revenue thinks that you have simple tax affairs, they will issue a short return, which must be submitted by the 31st October, as it is only available in paper format. Only certain taxpayers are eligible to submit a short return and the Revenue expect the taxpayer to know whether or not they are eligible. If your affairs are more complicated, or if you are a director of a limited company, you need to complete and file a full tax return. The form is more complex with a number of different supplementary sections that may need to be completed, depending on your circumstances. Contact our experienced tax advisers today, in Woking, Surrey, to acquire further information about our taxation services.